There are plenty of reasons to postpone website redesign. It can be costly, it can take a lot of time, and it requires lots of attention from the owner of the website, even if they are not the ones who actually do the redesigning. But the problem with postponing website redesign is that, if you do it for long enough, the fact that your website needs to be updated will start hurting your business. Websites need to be kept as up to date as possible. If you’re wondering how you should know your website is in dire need of a makeover, here are some of the telltale signs. You might be proud of the fact that you embraced using the Internet for your business early on, but showcasing your pride by not ever changing your website design is a bad idea. You don’t have to be an early adopter of every web design trend that pops up, but when all of your competition has moved on to a different type of design, you can’t afford to be left behind. Simply put, old-timey websites will make your business look unprofessional and uninterested in attracting customers and clients. Websites can consist of just a homepage. It’s not the best of ideas, but it is possible. However, if you try to pack the information you’d need several different pages for into that homepage, you’ll get an unappealing and unreadable mess. If your website doesn’t take into account that information should be properly grouped, separated, and illustrated, you need to redesign it as soon as possible. People like to see elegant websites that won’t try to fry their brains with information overload. The one thing you can’t afford to miss out is the mobile boom that’s going on. People will be viewing your website on devices that are smaller than a laptop or a desktop computer. If your website is optimized for the larger devices, it won’t look good on their mobile counterparts. And it can become too hard to navigate. Responsive design is a type of web design that enables your website to easily scale to the size of the device used to view it. For any business that aims to use the Internet, and that’s pretty much every business today, responsive design is a must. If you have a website, but people can’t find it, what’s the point of having it? The rules of search engine optimization have changed a lot over the past few years, and websites that rely on following outdated rules will be under optimized at best and penalized by search engines at worst. 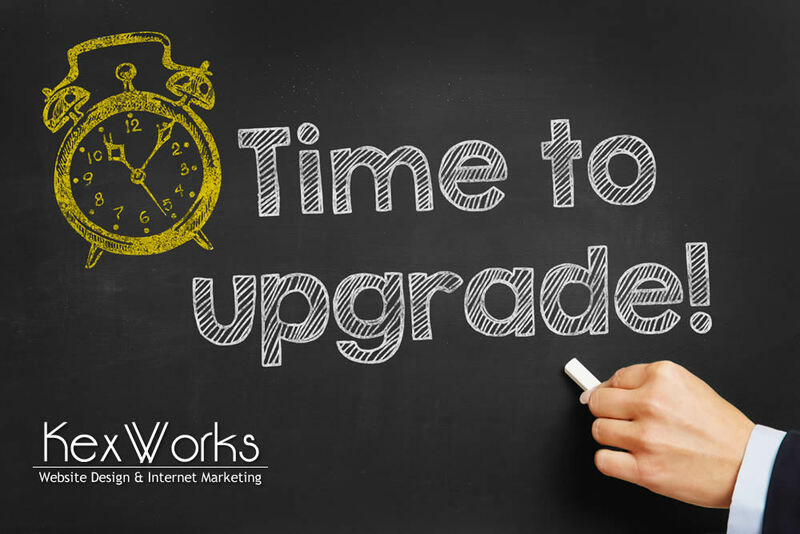 Making sure that your website is up to date with the most current SEO practices is one of the better reasons to redesign it. While you’re at it, you should also think about adding a blog section to it – there’s nothing that helps with ranking more than having quality content on your website. When someone visits your website, you want them to be able to find what they need easily. Now, that doesn’t mean you should put everything you have on one page. It means that the route from landing on the website to finding the thing they need should be clear and easy. Adding drop down menus, additional pages, or completely reorganizing how your website is structured can all be done in the name of making it easier to navigate. And if you want to keep people looking at your website, remember – it’s better to show them where they need to go than to trap them in a maze. You might have rebranded your business. Or you might have changed the brand image. Either way, your website needs to be current on the business it represents. There’s more to a brand than just a logo and a couple of words – the whole design of the website needs to reflect the whole of your brand image.